It’s essential that a company not only have the right software, but also be able to use it. Whether a system is successful or not can come down to one very basic point — does the business get the right insight from the ERP. 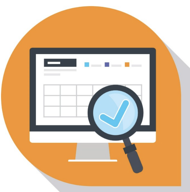 Advanced user-permission settings help to track activity and make sure those accessing the system are approved and receive appropriate training. Say goodbye to unsecured Excel sheets and Google documents when it comes to the company’s financial or inventory needs. An ERP system can keep sensitive data from falling into the wrong hands. Users access only what they need from the ERP system. In the rare event vendors experience a security issue, it can typically be fixed with a software update to all users automatically. When a company works with a well established vendor, they become a part of an active community that is involved with the platform’s online knowledge community. A lot of insight can come from valuable user help groups — it’s seldom that one person experiences a problem that no one else has. With a broader work group, a SMB can benefit from more vast insights. Forums are relatively active, so questions and issues can be tackled rather quickly. Out-of-date, poorly integrated business software systems lead to messy, non-standardized data. Over time, the chances of comparisons being inaccurate increases, and the process becomes more difficult and time consuming. Accurate forecasting doesn’t evolve in this environment. A modern ERP system, however, comes integrated with integral applications. This means data will be standardized and presented in an easy-to-digest unique format. The C-Suite and business at large can greatly benefit from real-time, at-a-glance, data and information that relate the company’s performance. The “need to knows” and “nice to knows” are important to time-strapped decision makers. Day-to-day metrics keep business leaders up to date with the insights needed to make more informed decisions at a single glance. Those who want more detail, can drill down to a more granular level. Learn more in Business Intelligence: More Than a Dashboard. Leading ERP systems are equipped to ease regulatory compliance, which is often required for business processes such as financial accounting, data security, and product traceability. ERP systems can do everything from keeping tabs on the financial records of publicly traded companies to tracing food contamination to the source at an identifiable manufacturing plant. Utilize the ERP to cut down on labor costs, which can be stifling to a SMB. Inefficient processes and decentralized data can put a huge strain on a business. A modern cloud-based ERP system can automate and streamline daily workflows, in turn, freeing up employees’ time to do things that actually generate revenue. For instance, an ERP system can effectively automate and link administrative and operational capabilities such as finance, HR, purchasing, manufacturing, and distribution to better achieve business flexibility and agility. Gartner predicted in it’s Forecast Overview: ERP Software Worldwide, 2016 report that 60% of SMBs will be selecting cloud-based ERP systems by 2020. This will increase the mobile accessibility of users. Are You Ready for Better ERP Insights? Acumatica brings to the table, better technology, more flexibility, and a vision toward the future, all in a user-friendly platform. 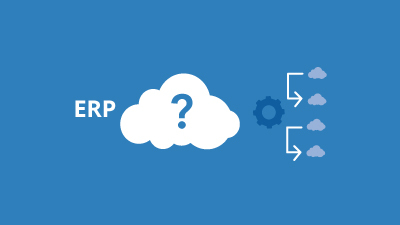 At Cloud 9 ERP Solutions, we understand the transformative power of Acumatica Cloud ERP and have helped companies like yours to select, implement, and operate business-changing ERP that grows with them well into the future. Interested in learning more? Watch our Acumatica Overview Video or request a demo today!